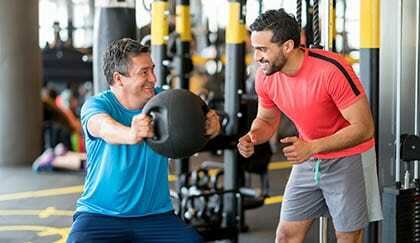 A personal trainer can help you get in shape, and Freedom Fitness in Corpus Christi has plenty of personal trainers ready and waiting to walk alongside you. When you work with a personal trainer, you can express your concerns, your goals, and your struggles with your trainer. Your personal trainer will design a program to get you back on track so you can see results quickly. The best part is that you get valuable habits and tips along the way, ensuring you can stay healthy in the future. Already a regular at our Corpus Christi gym? Personal training can help you shake up your routine and bust through that plateau!